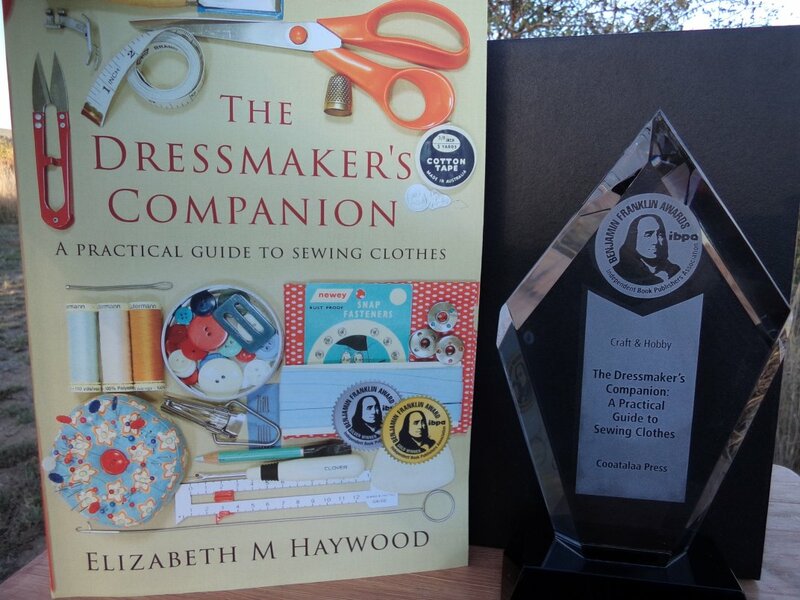 The Dressmaker’s Companion has received a gold medal for best craft/hobby/how-to book, and a silver medal for best large format cover at the 30th Benjamin Franklin Book Awards. More about the awards here. A comprehensive sewing reference you’ll refer to again and again for reliable, practical advice. Whether you’re a dressmaker, fashion student or simply enjoy sewing for yourself and the people you love, this is a sewing book as helpful as your own personal teacher. 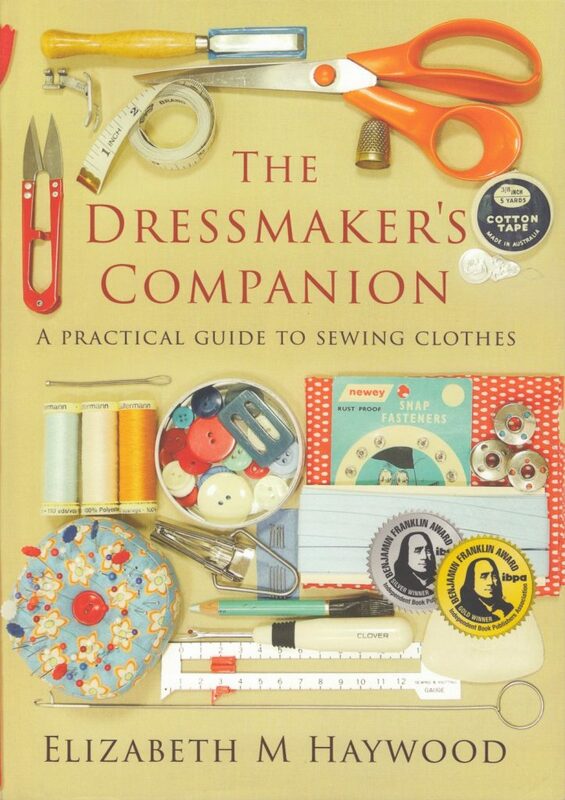 With over 3,000 illustrations, step-by-step instructions, clever ideas, troubleshooting and fitting advice, The Dressmaker’s Companion will enable you to sew with confidence. Winner of the 30th Benjamin Franklin Award for best craft book and silver medal winner for best large format cover. 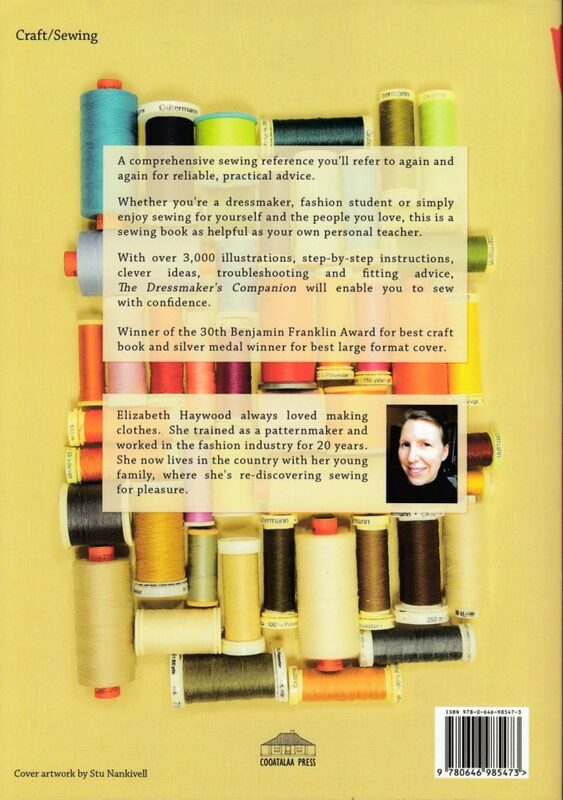 About the author: Elizabeth Haywood always loved making clothes. She trained as a patternmaker and worked in the fashion industry for 20 years. She now lives in the country with her young family, where she’s re-discovering sewing for pleasure. Like to flip through a copy before buying? Your local library might have it. If they don’t, why not ask your librarian to purchase a copy for the library? (you could be the first to borrow it). You can buy an autographed copy from me here. To buy retail, try your local bookshop; the book’s ISBN is 978 0 646 98547 3 and the distributor is Ingram. In Adelaide, South Australia, Catwalk fabrics in Brompton, The Needleworks in South Plympton, Create in Stitch in Highgate, The Drapery on Glen Osmond Road, Mostly Books at Mitcham shops, All Make Sewing Centre on Goodwood Road. In Clare, South Australia, KnitSpinWeave and Clare Fashion and Fabrics stock autographed copies. In Pt Pirie and Kadina, South Australia, Meg’s bookshop has signed copies. 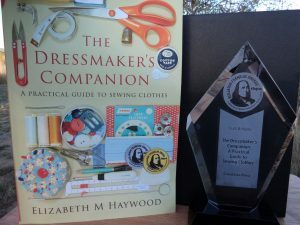 View blog posts about The Dressmaker’s Companion here. 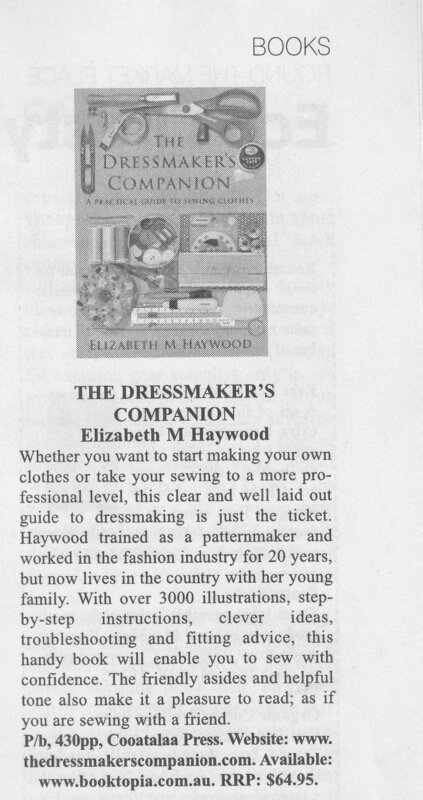 The Dressmaker’s Companion is available as a print book only. Visit Elizabeth Haywood’s blog home page here.